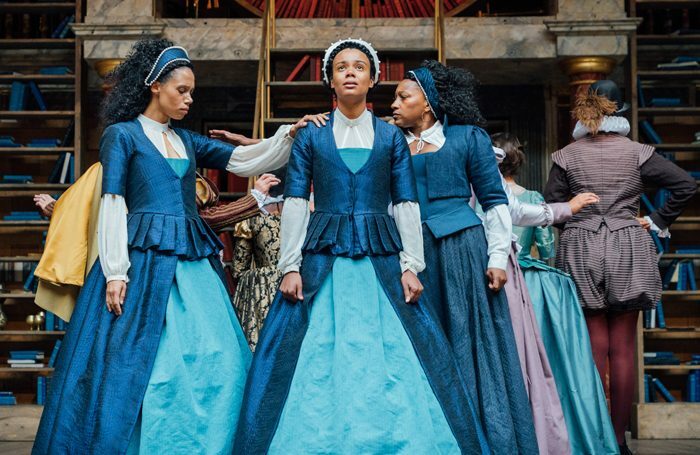 Much to my regret, I didn’t see Morgan Lloyd Malcolm’s Emilia at Shakespeare’s Globe. It opened after I had departed for the Edinburgh Fringe and closed the night I returned. It’s my loss, but it makes me wonder about the way the inequalities of theatre in gender and race are perpetuated. Not just by what is programmed but where a show is produced, in what space and – in this case – for how long. Joking apart, it’s worth exploring the way more inclusive work is programmed, because while handing over a theatre’s main stage – as the Globe and Old Vic have done – to work by women and about women is to be applauded, limiting its reach is not. It’s the same with shows created by artists of colour. It’s all very well for theatres to trumpet the diversity of their programming, but not if they are hedging their bets and limiting the perceived risk of programming a new play by a black or Asian writer – or by a woman – by giving it fewer performances. It’s like giving with one hand and taking away with the other. If productions have shorter runs, it often follows that they are less likely to be seen widely by audiences, as well as those working in the industry and critics. That means they often make less of a lasting impact. That’s an issue not just for the writer and creatives concerned, but also in terms of the way those productions start to change the dominant landscape. We women know that it is not our individual successes that really count, nice though they can be, but that what we achieve might shift things for the women who come after us. It’s terrific to see that Natasha Gordon’s Nine Night is going into the West End, but if it hadn’t been such a success at the National, it may well have simply disappeared after a very short run in the Dorfman. As the 2014 British Theatre Repertoire report pointed out: plays written by female writers are far less likely to be revived. In that particular year, Agatha Christie represented 66% of the box office for all revivals by women. So what hope for plays written by female writers of colour? Ah, you say, but 2014 was a long time ago and much has changed for the better since then. Well, it has in many ways, but maybe change is not quite as significant or enduring as it might seem, and while the numbers of plays produced by women across the country shows an upward incline, theatre space remains gendered. Victoria Sadler’s excellent annual Theatre in Review survey, concentrating on London’s new-writing theatres, points out that the challenges for female playwrights continue into 2018, even when issues of gender and inclusivity are much higher on theatres’ programming agendas than they were four years ago. Hampstead Theatre, previously a prime offender in its failure to programme work by women, has (after widespread criticism) suddenly rocketed to top place in Sadler’s survey for its significantly increased presentation of plays by women. But most of those written by UK-based female playwrights were in the studio space downstairs. Of course, artistic director Edward Hall should be applauded for suddenly discovering that he did, after all, know some female playwrights. But when female work is predominantly staged in studio spaces, it perpetuates the idea that staging a play by a woman in a main space puts an extra risk and therefore an extra burden on a theatre. It’s the kind of thinking that led Nicholas Hytner (who has still never directed a play by a woman and whose NT predecessors were hardly better champions of living British playwrights) to comment in 2003 that those with the capability to write for big stages such as the Olivier were “by and large very senior writers, and they are either called David, Tom or Alan”. With that attitude, no wonder it took until 2008 for a living female writer – Rebecca Lenkiewicz – to have a play (Her Naked Skin) on the Olivier stage. Equality is not just demonstrated in the numbers of plays by women and writers of colour that venues stage, but also in the size of those stages and the length of runs.